By far the biggest difference about travelling away this season has been getting used to inflated ticket prices. Trips to Stamford Bridge (£46) and Anfield (£39) have hurt the wallet, although on the flip side, the games at Wigan and Newcastle were a reasonable £25. However, much has been said about ticket prices in the Premier League before, so I’m not going to re-tread old ground. We all know that the cost of attending football in this country has got out of hand and, unlike Germany, the fan culture here isn’t strong enough to campaign against this. My major gripe currently lies with the way some home clubs are allocating ticket numbers for away fans. Premier League rules state that away fans should be given 3,000 seats, or 10% of the capacity where capacity is below 30,000. Bloomfield Road is one of the few grounds in the top flight with such a capacity, which should ensure that the Seaside faithful get a minimum allocation of 3,000 at the majority of away fixtures. ‘Pool have always had a good away following, especially when you consider our home attendances have often fallen way short of our contemporaries, and the demand for tickets this season was always going to be increased for our first year in the big time. That said, the marquee games aside (Liverpool, Arsenal, Man Utd), 3,000 tickets would generally suffice. After all, the aforementioned cost will likely make it difficult for many to attend a high number of away games as well as financing a home season ticket. The problem we are beginning to discover is that some clubs are sneakily getting around the rules. 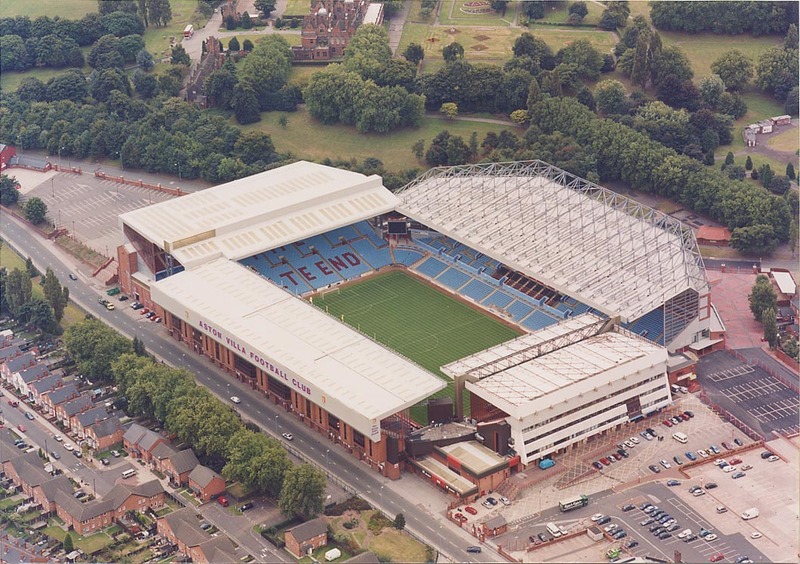 The first such instance has occurred with the arrival of the tickets from Villa Park. Aston Villa have issued Blackpool with an initial batch of just over 1,000 tickets. It is believed that further tickets are available (presumably upto 3,000 in line with the regulations), but that some or all of these will need to be bought by the club on a ‘no return’ basis. Therefore if ‘Pool failed to sell the extra tickets, the club would potentially be out of pocket to the tune of thousands of pounds. 1,000 tickets will never satisfy demand, while 3,000 would probably be too many. It’s certainly hard to fault Blackpool FC for not taking the risk of losing money. Gerard Houllier’s new club aren’t the only team to take this stance on away tickets. Newcastle’s NUFC Blog identified this issue right at the start of the season, suffering similar treatment at the hands of Man Utd and Wolves. With a larger fanbase to call upon, the problem is arguably worse for the Geordies who would surely sell out 3,000 for every away fixture given their fanatical support. This has given Newcastle reason to look internally for a scapegoat however, with Mike Ashley in the line of fire once again. The risk of losing money for Newcastle is minimal compared to that of the Seasiders, so turning my fire at the hierarchy of Blackpool FC probably wouldn’t be fair. This surreptitious ploy being used by some clubs is another sad indictment for a league that specialises in marginalising its core support for the sake of a quick buck. Before Blackpool reached ‘the promised land’ I found the inverse snobbery of our fans referring to the Premier League as the ‘Greed League’ irritating. Issues like this though only support that view though, and it is to be hoped this feeling doesn’t grow within me should ‘Pool have an extended stay at this level.